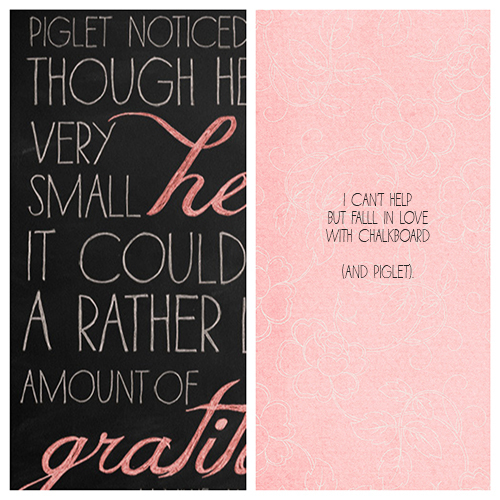 A piglet quote from AA Milne meets some chalkboard-effect lettering...I've been having fun playing around with Photoshop and possible print ideas. I've always wanted to learn how to achieve the look of chalkboard based on messing around with hand sketching lettering and then finishing up with some Photoshop magic, otherwise known as the awesomeness of RadLab. 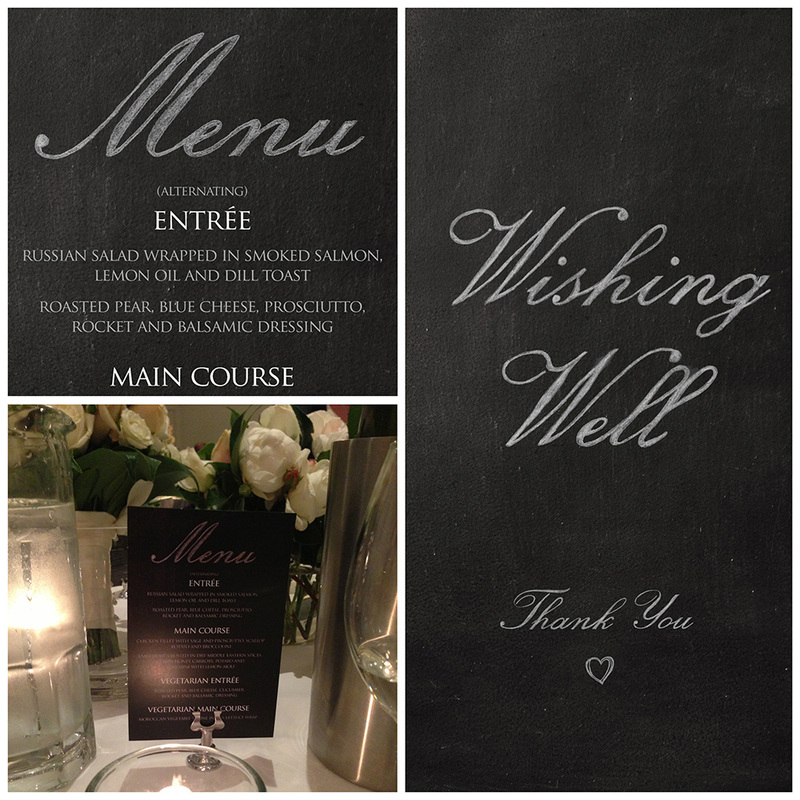 So lucky for me, my sister decided both real & digital chalkboards were going to be a repeat theme in her wedding...translation: here was the motivation I needed to figure this out. Sketched heart & chalkboard background by Paislee Press. Pink digital paper used above from Paislee Press "Once" kit.